Register Your Business On Google - GJB Web Tech Inc. Here the answer to your question, How do I put my business on Google? If someone is looking for your company or just a company within your industry and city, the first thing they will do is look it up on Google. You can have your website is done and everything in place but you will need one more feature – Google Registration. GJB Web Tech will register your business name with google and give a quick and clear data about you on top of all the other results. We will enter your contact number, address, website, description and all the other information your clients need to know about you. One of the best parts of getting your business on Google Registration is that we will also register your company on Google Maps. The streets of Mississauga and Brampton can be very confusing and we will show your clients exactly how to get to your office. With your location, we will also add additional helpful signs that every person appreciates to see before visiting a certain place. It is unnecessary to mention how big of an improvement it is to be GPS available. You gain credibility and build reputation yet again, even for people that never heard about you before. There are certainly many small and medium-sized companies in Canada that people don’t have a chance to hear about but if they see yours on their map, they will be curious enough to see what you can offer. Your online presence needs to stay up-to-date or else your visitors will not believe any information they read as they will think it’s outdated and invalid. With Google Registration, you will be able to change the data and announcements in the matter of seconds. Another point related to control of your events are the updates you can share with people over Google constantly. In fact, it is highly advisable to be active and post about your contests, discounts or simply inform your audience about the events within your company. You can do all of it over Google as well, not only Social Media. By registering on Google, we will also add the images of your company that will attract even more clients. This point is especially beneficial for catering and similar industries where the appearance of the property plays a significant role. We will include the photos of the interior, exterior, area, products or any other aspect you would like to display. Google will also display the feedback of your customers. It makes it easier for your future customers to decide whether to visit your property or not. Visitors that found you through Google Maps are usually the one to leave these comments as well, make sure to leave a good impression! If your page is filled with positive comments, you will attract more visitors. Google Maps are available on all the devices. Starting from smartphones, tablets, and computers to vehicles, most people use them to find a certain location. 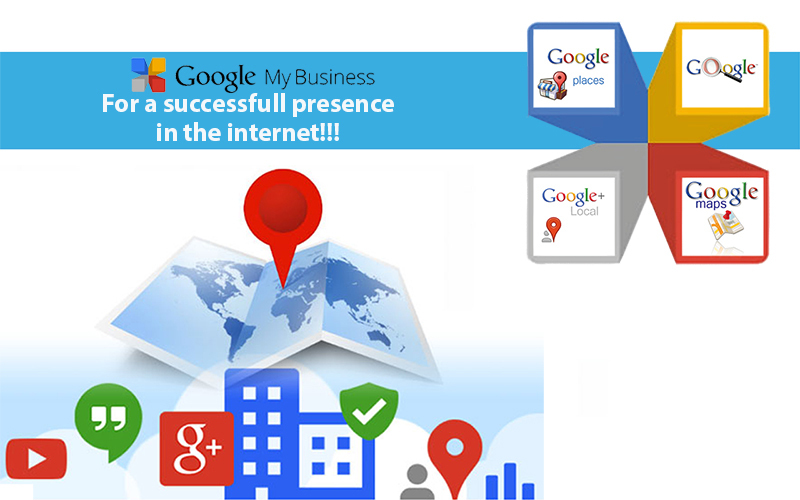 Most of the businesses are registered on Google exactly because it’s the most used GPS tool. Every service we apply to your company works inclusively on its improvement. There is no single negative impact you could have from being listed on Google. Instead, you will level up your business and make a contribution to your reputation. GJB Web Tech aims to be your only web builder and earn your trust through our common achievements. In order to become your reliable partner, we created all the services one ambitious company needs. If you are tired of working anonymously, it is time to appear on Google and be visible to everyone! Contact us and start your developmental journey.